Wow! Yesterday was one of the most amazing experiences of my life. 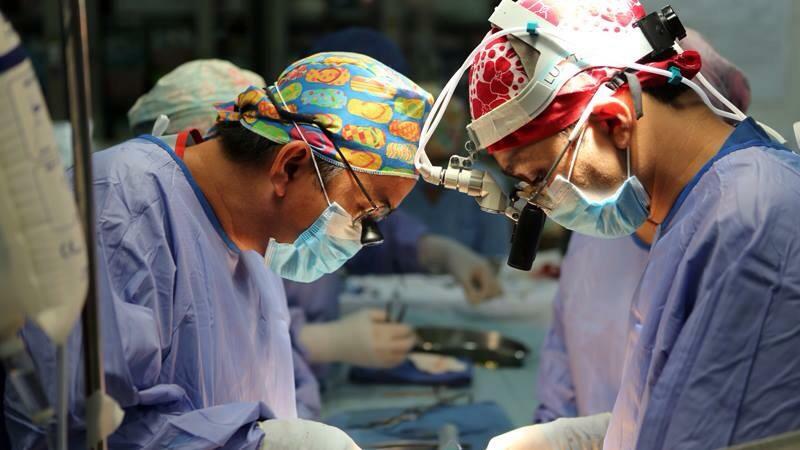 I had the privilege of being allowed to be part of the surgical team during an open-heart surgery for a 3-year-old Cambodian boy called Soucheang. I am not a nurse or a doctor, I have spent most of my professional life in Digital Media. My role on this team is to blog the teams progress as well as start developing a child sponship program and fundraising for OHI Cambodia. I was quite excited, but a little bit apprehensive (to say the least) when the surgical team asked me to join them in the operating room. 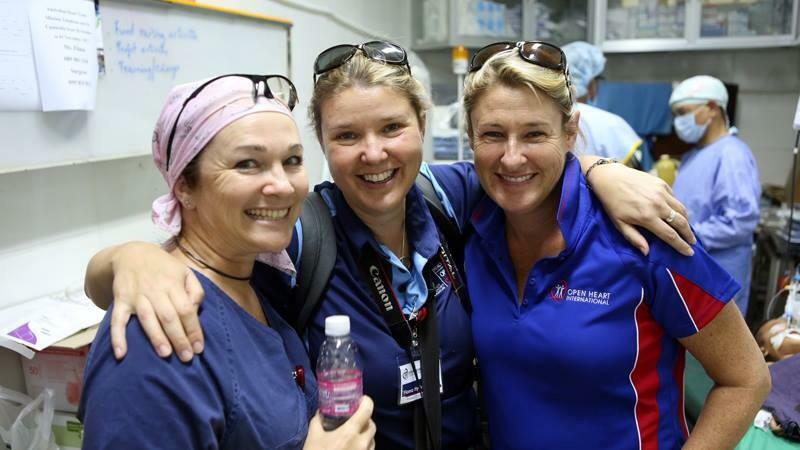 The team from Open Heart International is made up of Aussies, Indians, Kiwis and Brits. Ashish the cardiac surgeon was so cool, calm and confident that the whole team was like a well-oiled machine even though it was only our sixth open-heart surgery and day two in Cambodia. The surgical team was led by Ashish, the cardiac surgeon, Kym the Senior Theatre Nurse, Nigel the Perfusionist and John the Anaesthetists, plus Fiona the Project Coordinator all made sure that I knew what was going on and supported me through the technical journey that was before us all. I was completely blown away by the precision and the team work required to change this little boy’s life. 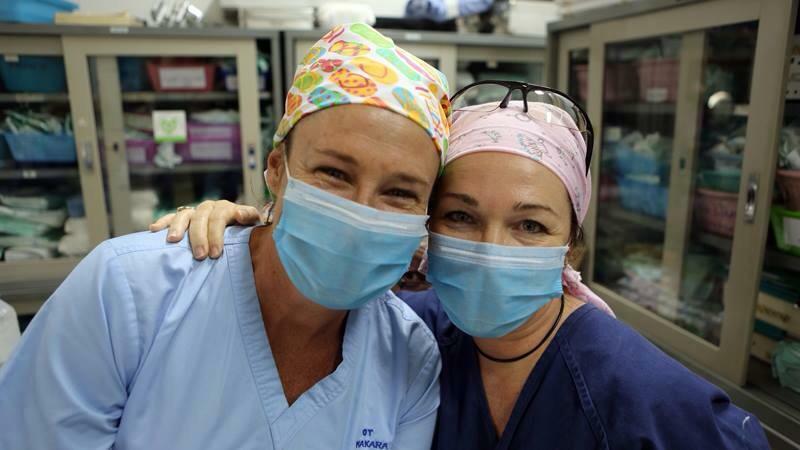 From an outsider’s perspective there seemed to be very little stress or tension in the operating theatre which considering the lifesaving operation surprised me. The Cambodian team were eagerly watching and learning whilst the OHI team led the operation with ease. After nearly 3 hours Soucheang was able to breathe on his own and was moved to the Intensive Care Unit where his very relieved parents waited. Being part of this process is something that I will never forget and the pure joy and relief and gratitude expressed by his parents is something that will stay with me forever. In my entire professional career I have never experienced such a rush of emotions at the completion of a job well done. To see the face of Soucheang’s mother after she was reunited with her child in the Intensive Care Unit was more than words can describe. Many tears of joy flowed! I would be surprised if any mother anywhere in the world would not be irrevocably affected by this experience. Thanks to the selfless team for allowing me to be a tiny part of this project! I can’t wait to finalise the Sponsporship program and raise money for this incredible project back home in Australia!